Rent College Pads works hard to help college students at Mississippi State find the best off-campus housing options in Starkville near campus. Whether you are looking for a house or one bedroom apartment in Starkvillele, MS, Rent College Pads is your number one resource for MSU off-Campus Housing. Finding apartments at Mississippi State University has always been a chore. At Rent College Pads we are fixing that. All of our off-campus housing options have been verified and approved by our diligent team of campus managers. We even follow up with you and the landlord to make sure you have found your perfect house. Because there are so many options to consider before making a responsible renting decision, check out our Mississippi State University University apartment hunting guide below. Students of Mississippi State who are looking to live off campus during the fall semester should ideally begin their search for housing during the spring semester before Easter break. Studio apartments and three and four bedroom houses and apartments are the fastest to fill up in the area, so if you’re looking to occupy one of those types of spaces, definitely get a jump on your search earlier in the year. Rent in Starkville tends to be fairly affordable, especially for those living with multiple roommates. If you’re looking to live in a studio or one bedroom apartment, the options are definitely noticeably more expensive. However, the cost of rent for many of these places includes utilities and access to free laundry facilities, as well as amenities like swimming pools and parking. If you’re not interested in these kinds of perks, consider living with some friends and splitting the cost of a larger living space. MSU students don’t have to travel far for some great dining options, most of their choices are within a mile of campus! Starkville plays host to awesome American and creole-influenced cuisines. There’s also some very fun nightlife choices that offer unbeatable drink specials when students are looking for a night out. You won’t want to miss any of the top-rated spots listed below! The Cotton district is located in between Downtown Starkville and Mississippi State University.Historically, this area of Starkville was once a cotton mill, but in 1969 Dan Camp began his building plans for student housing. Camp got much of his inspiration from his travels to Europe and places in the US like New Orleans and Charleston. The houses and apartments in this area have a lot of character and you will see a mixture of Classical, Victorian, and Greek Revival architecture. This district is award-winning for all the redevelopment that has happened and construction on Holtsinger Street and University Drive is expected to continue for the next ten years. 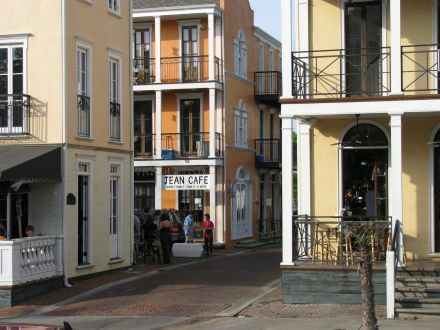 The neighborhood is very walkable and there are tons of shops, restaurants, and bars around. Many of the people that live in this district are students and faculty of MSU. Each year, the Cotton District hosts events like the Cotton District Arts Festival and the Bulldog Bash which brings in a crowd of 30,000 people for free concerts! 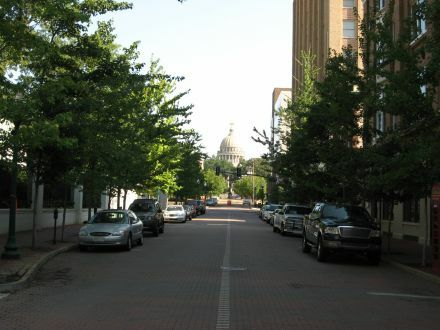 Just west of the Mississippi State University is Downtown Starkville. Only a ten-minute drive lies between Downtown and the campus, so if you bring a car to school or don’t mind taking the S.M.A.R.T bus transportation system then consider this area for living. There are a variety of boutiques and shopping centers like Cotton Crossing, Central Station, and Starkville Crossing to grab things you need. During the summer months, the Starkville Community Market is a great spot to pick up fresh produce, see some art, and watch how-to demonstrations. There are several bars, restaurants, and coffee shops so whatever you have a craving for you can find it Downtown. Some popular places to check out are Restaurant Tyler which was named “Best Brunch in Mississippi” and Mugshots Grill and Bar which has had their burgers featured in magazine articles. To familiarize yourself with the area, consider taking the Starkville Arts Walk Tour. This is a self-guided walking tour that will lead you to many historic sites, shops, and galleries. Bulldog baseball is really popular in Starkville and each February the Dudy Gras Parade is held to ring in the start of the Mississippi's State University baseball season. The parade begins downtown and ends at Left Field Lounge. Some other events held every year are the Souper Bowl which is a fundraiser for United Way that allows residents to taste a variety of soups. Every Christmas season they hold the tree lighting ceremony and Christmas Parade. During the Spring, Summer, and Fall months Main Street businesses open up at night for unWINE Downtown. Everyone that participates goes from shop to shop tasting wines and the stores offer discounts on merchandise. Housing downtown ranges from houses, duplexes, triplexes, and apartment complexes and with so many around everyone can find something that fits them! Just north of Downtown Starkville are the Greensboro and Overstreet Districts. Greensboro is west while Overstreet is east. The Greensboro Historic District was once was a place civic leaders and merchants lived and 10 decades later the Victorian, Tudors, and bungalow home still exist. The Overstreet Historic District also has several older Victorian homes mixed in with some modern day housing. This area has more of a family vibe and several public schools are within this area as well as parks, shops, and restaurants. Technically, the Mississippi State University is only partially in Starkville and most of it is in an unincorporated area name Mississippi State, Mississippi. The campus, however, is only a few minutes walk or drive to Starkville. Being that this area is heavily student-dominated, there is several off-campus student housing apartment complexes. Many of these complexes, like The Pointe at MSU and Helix Starkville, are luxury-style apartments that offer top amenities like fully furnished apartments, resort-style swimming pools, cyber lounges, and private study rooms. 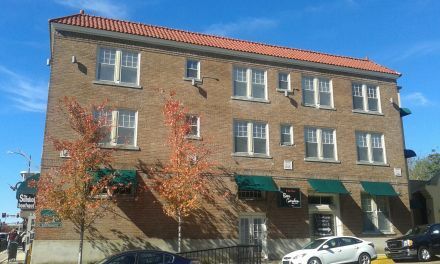 Beyond that, there are countless other off-campus housing options from duplexes to frat houses all in a short walking distance to the MSU campus. Starkville is known as “Mississippi’s College Town” and just like most colleges, sports are a big deal around these parts. During football season, the whole town is decked on in maroon to show their school spirit. During the school week, The Junction and Drill Field is a spot where students play a game of catch or study in between classes. Come game day though this grassy area becomes the popular tailgating spot before heading to Davis Wade Stadium. Throughout the year there are tons of parades, festivals, and concerts held by MSU. The MSU campus has many historical buildings to check out and is also home to one of Starkville’s main attractions, the Cullis and Gladys Wade Clock Museum that dates back to the 1700s. Students can catch movies on Drill Field as well as join in on sports games held multiple times a week. University Drive and surrounding streets have several of the frequented bars and restaurants. Some of the popular “go-to” spots are STAGerIN Sports Grill, Stager In, and Fountain Bar.